Click on 'Tools > Accounts' in the 'Toolbar'. 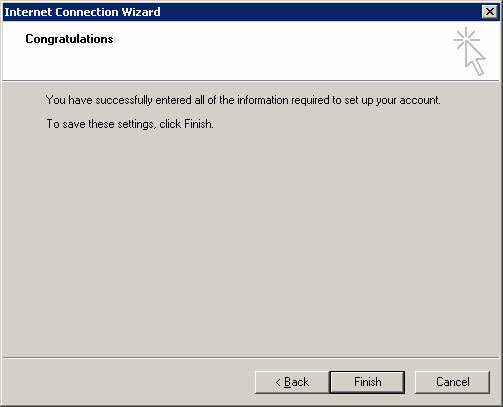 An 'Internet Accounts' Dialog Box will popup. 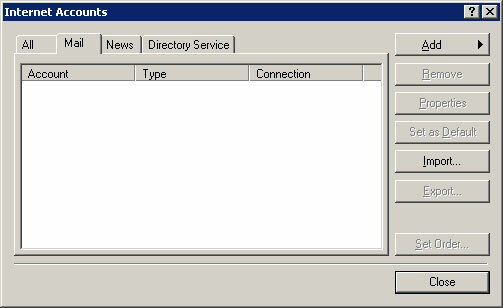 Click on 'Add > Mail' in the 'Internet Accounts' Dialog box. Enter into the 'Display Name' textbox the name you would like to appear on the e-mails. Select the 'I already have an e-mail address that I'd like to us.' radio button. Enter into the 'E-mail address' textbox your FULL e-mail address. Click the 'Next >' button. Enter your account name into the 'Account name' textbox. ( Note: Your account 'Account name' is your FULL e-mail address. Enter your password into the 'Password' textbox. 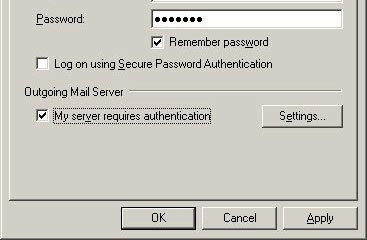 Check the 'Remember password' checkbox, if you would NOT like to be prompted for your password everytime that you check your mail. 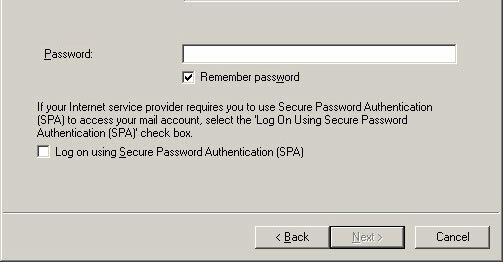 Leave the 'Log on using Secure Password Authenitication (SPA)' checkbox UNCHECKED. You have completed the intial setup, click 'Finish' button. Click on to hightlight the account that you just created. Check the 'My server requires authentication' checkbox. 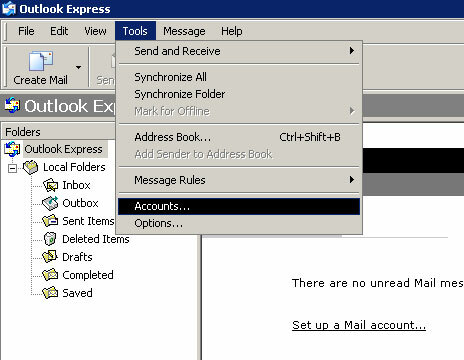 Congratulations, you have successfully setup your MS Outlook Express 5.0.